Plastics products and components manufacturer Spectrum Plastics has announced a strategic partnership with medical device manufacturer Earnan Biomedical. The collaboration will provide ‘off the shelf’ PTCA and PTA balloons next day in North America and within three days for European customers. The program will launch via Spectrum Plastics’ Apollo Medical Extrusion Web Store offering textured and untextured balloons to support .014” and .018” guidewire platforms. Nylon 12 balloons will be the first product introduction and will be offered in the diameter range 1.5mm to 5.0mm and in lengths of 10mm, 20mm, 30mm and 40mm. 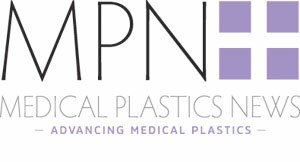 Apollo Medical Extrusion technology is the advanced extrusion technology brand of Spectrum Plastics and represents micro and multi-lumen extrusions. Spectrum is exhibiting at MD&M West in Anaheim, California from 5-7 February.